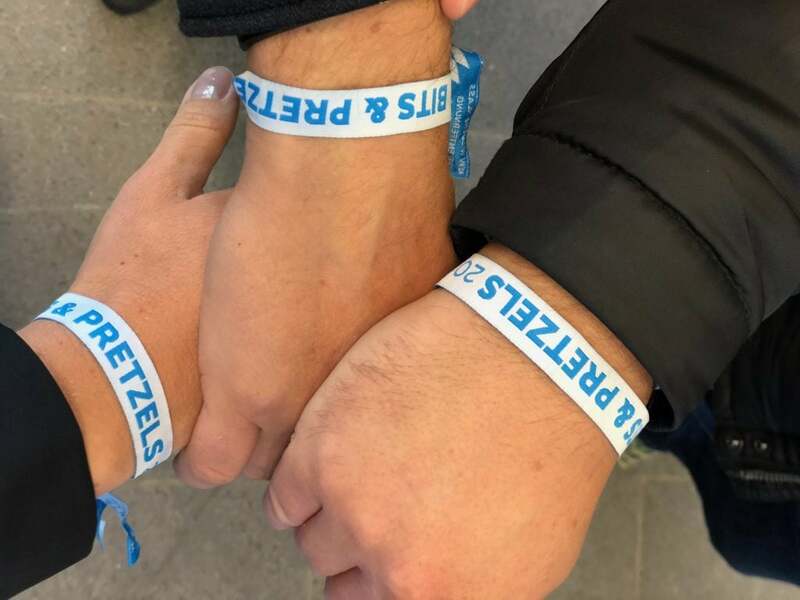 The areasix team just returned from Munich, where we visited one of the most significant international founders‘ festivals Bits & Pretzels, from September 30th till October 2nd, 2018. The main festival‘s venue took place in Internationales Congress Center München (ICM) with further expansion to Theresienwiese for the final networking stage. The festival connects an exciting variety of decision-makers from the startup ecosystem, including more than 5000 founders, investors and startups enthusiasts. 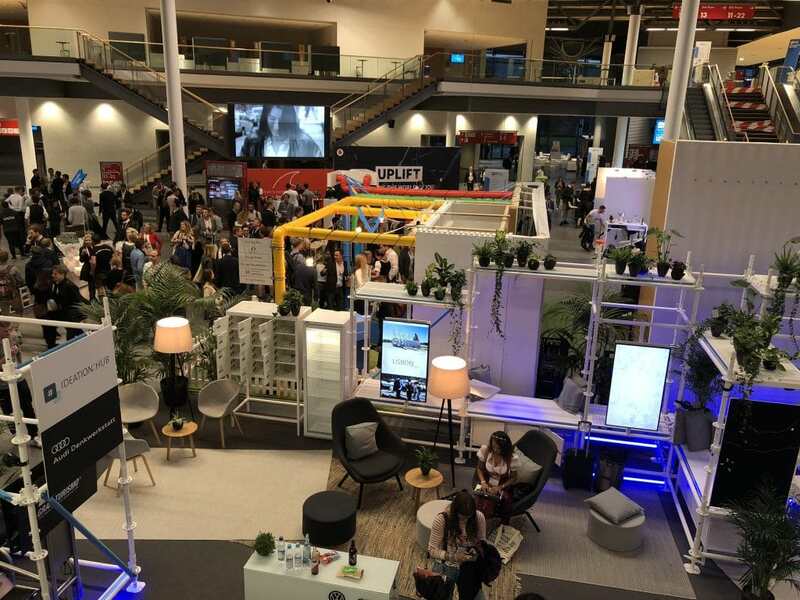 Large enterprises like Audi, Volkswagen, KPMG, Accenture, Volocopter, Sipgate and Microsoft were presented among other exhibitors in 2018. 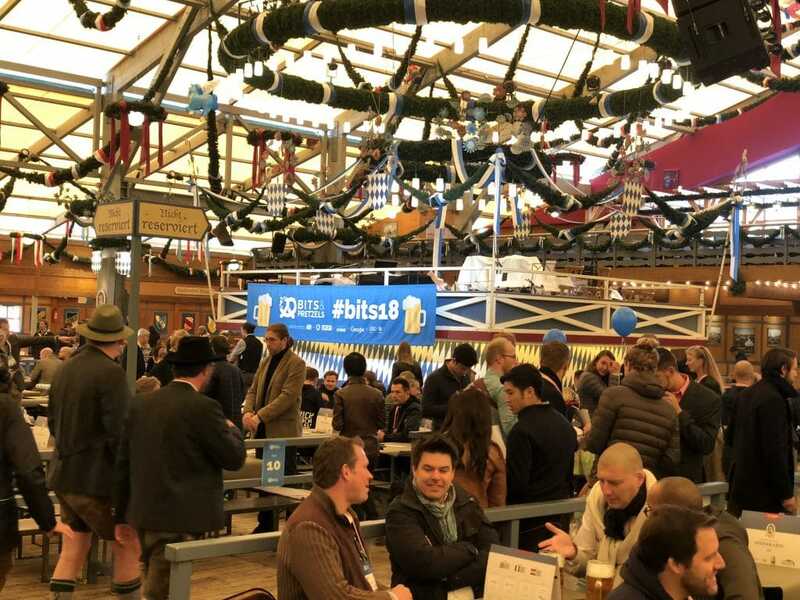 The unique feature of Bits & Pretzels is of course that it takes place in the exciting and joyful environment of Oktoberfest. 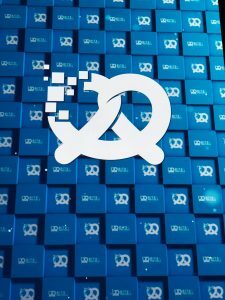 2018 is already the third year when Bits & Pretzels gathers thousands of brilliant minds for networking and cooperation establishment. By 2018 the festival has reached a massive scale regarding the number of visitors, the high value of invited speakers and excellent technical support throughout the whole event. It’s curious to learn that the first seeds of Bits & Pretzels were planted back in 2014 when Andreas and Bernd (slightly later Felix has joined the team as the third host) invited fellow founders for cosy get-together traditional breakfast with Bavarian Weisswurst. After the event faced a success, Andreas, Bernd and Felix started to think of the new setting to accommodate the idea on a bigger scale. Then in 2016 the first Bits & Pretzels took place, in the way we know the festival nowadays. The areasix core team was represented at the venue by Peter Sanner, Frank Petry and Zanna Naumova. Our primary focus was on startup scouting as well as negotiations in the direction of strategical partnership establishment, some of which we will announce very soon. And of course networking, networking and once again networking. On top of everything else the diverse range of invited speakers were wisely selected. Sometimes it was challenging to leave the stage hall where another speaker held the presentation, as almost every performance was attractive and worth of attendance. In total it was seven stages with a variety of talks and presentations (Central stage, Academy stage, Spotlight stage, Google stage, Pretzels stage, Pitch stage and Interactive stage). 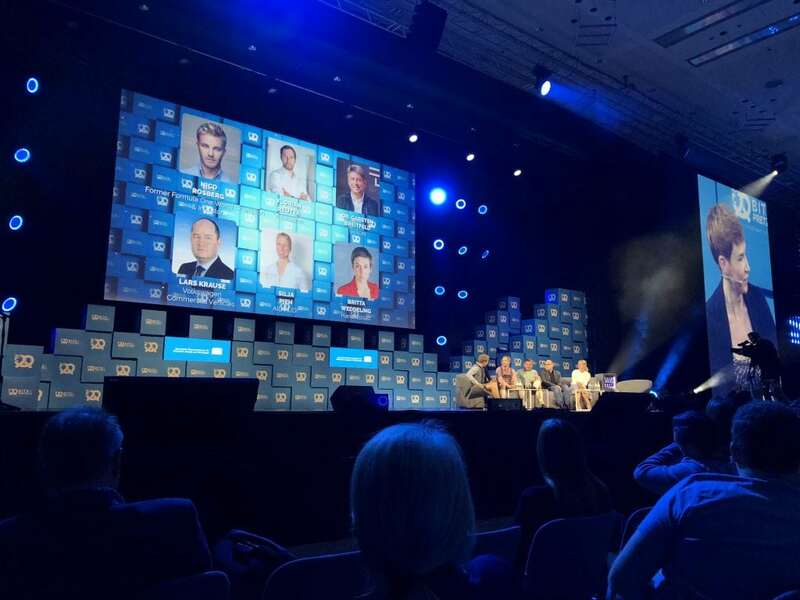 It was especially valuable to listen to the speech of Ms Tarana Burke (#Metoo movement founder) and her story of success, Marc Walder (CEO Ringier AG) and his presentation about the digital competitiveness of nations and the urgency to rule digital innovation, Gil Penchina about emerging trends in Crypto, Marco Boerries about standing up against Amazon&Co and many more. Especially impressive was a podium talk about the Future of Mobility with such a bright minds as Dr. Carsten Breitfeld (CEO and Co-Founder Byton), Nico Rosberg (Former Formula One World Champion & Investor), Florian Reuter (Volocopter), Dr.Lars Krause (Volkswagen Commercial Vehicles), Silja Pieh (AID Audi) and Britta Weddeling (Silicon Valley reporter Handelsblatt). That subject of conversation has been held around the next generation of mobility, including autonomous driving, environmental issues and the mobility on demand – all of these are emerging subjects nowadays. As a visitors, we‘ve learned at first hand the way conservative representatives of the mobility industry such as Volkswagen Commercial Vehicles, AID Audi on on side, and an innovative ones such as Byton and the air taxi startup Volocopter address common issues of the future of mobility. We were impressed by the high level of organisation of the festival, including a perfectly working mobile application which gave an updated overview of the upcoming activities (news feed), with a great user interface which allows having a seminars and presentations overview in a user-friendly way. This is one of the distinctive features, which positively differentiates Bits & Pretzels from the majority of other events in the area of innovation, startups, investments and new technologies. We did enjoy a traditional official After Party event at Prater Island as well as Startup Night when hundreds of Munich offices were open for networking, learning, inspiration and founders spirit. areasix met Got it! (an individual action photo service) Team at an exciting Burton Store Munich (snowboarding clothing, community and the culture company). We listened to a fascinating presentation about Burton brand as well as did shake hands with a Got it! Team, who does an exciting job by following its dreams – individual photo shooting in extreme and adventurous environment. 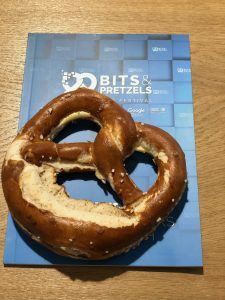 Bits & Pretzels undoubtedly met our expectations again as we made great contacts among other investors, found highly interesting startups and connected to experts in a variety of technological fields. Servus München, see you again next year!